This photograph of Lisheen house was taken in November 2007. The house was originally called Seafield House and was built by local landlord William Phibbs in 1842. The name was changed to Lisheen House in 1899 following a of period of unsettling supernatural events. William's son Owen toured Egypt and Syria as an antiquarian and in 1855 brought back several artefacts to Seafield. Shortly afterwards the house came under the unwelcome attention of a violent poltergeist who would spend the night hours smashing any breakables throughout the house. These events resulted in the demise of Seafield House as the family couldn't convince the domestic staff to return to work there. 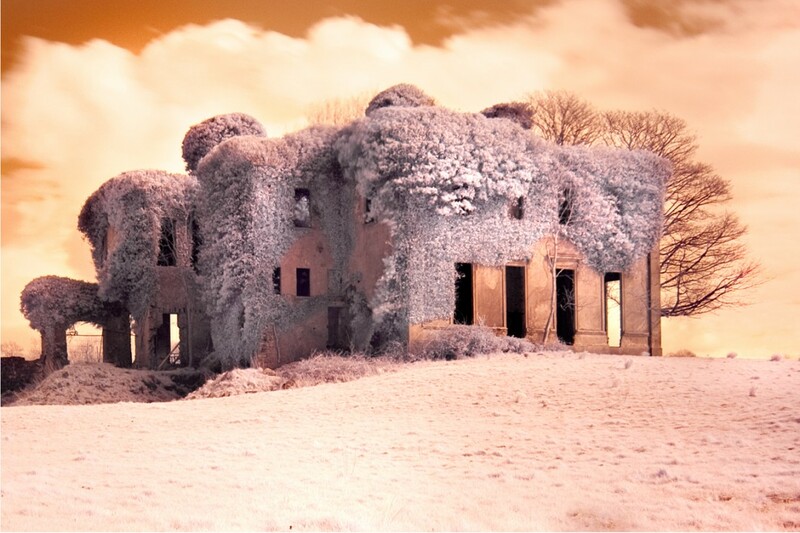 The house was sold in 1938 and cleared of all its contents and left to go to ruin. In summer 2007 Lisheen house was parachuted to worldwide fame with it featured on the American paranormal reality television series call Ghost Hunters which investigates places that are said to be haunted. The show tells the story of Owen Phibbs alleged grave robbing in the Middle East and suggests that unearthly sounds can be still be heard from the basement at Lisheen.